Northrup Grumman’s Cygnus spacecraft recently made its way to the international space station with some very important cargo. The craft is carrying crucial equipment for exploration in tons of fields, including outer space additive manufacturing. 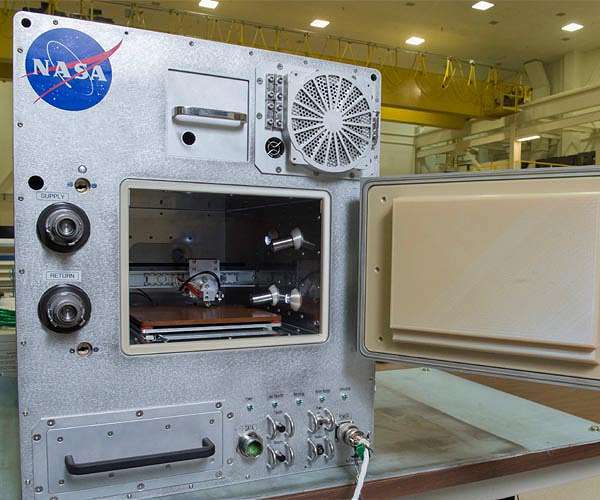 For their 3D printing experiments, the ISS will be employing the use of the Refabricator combination 3D printer and recycler. If all goes well, the Refabricator will demonstrate how to create high quality filament from space waste, reducing cargo needs for space exploration and allowing for reusable tools and parts. The Commercial Resupply Services contract mission on the 14th of November supported dozens of new and existing investigations. The Northrop Grumman spacecraft went up with 7,400 pounds of cargo with all sorts of equipment. For example, Expeditions 57 and 58 contributed to 250 science and research studies that include studies in 3D printing and recycling in space along with experiments pertaining to the creation of celestial bodies using stardust. The Refabricator is the first 3D printer and recycler integrated into one user-friendly machine. As one can imagine, the scarcity of resources in outer space conditions requires some inventive solutions like this. The printer recycles and process on-board plastic including previously printed parts and turn them into crucial tools and parts on-demand. NASA originally awarded a Small Business Innovation Research contract valued to Tethers Unlimited Inc. to build the recycling system. The Refabricator is currently still in the experimentation stage but they are confident in its success. Aside from the experiments in printing, the ISS lab will also be looking into biological and cosmological research. All these experiments provide tons of innovations and discoveries that influence, not just our exploration in space, but also our lives on Earth. This includes research into Parkinson’s disease and also simulations of the formation of the early solar system. Similarly, as with many other outer space experiments, the research into recycling and printing can provide crucial insights into the formation of prints that we can also apply back here on Earth.